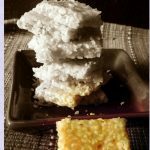 Gajak Recipe/Sesame Seed Brittle is a dessert enjoyed traditionally in winter, especially cooked for Makar Sankranti, and well known in North India. Wish you a very Happy Sankranti to all! So what is Makar Sankranti? The first change in the zodiac after the winter solstice which according to the Hindu calendar is the first day of the month of Magha is Makar Sankranti also known as Makara Sankranti, Sankramana, Pongal. This is a harvest festival and the abundance of food is celebrated. Sankranti marks the end of chilly winters. Not only are sesame seeds an excellent source of copper and a very good source of manganese, but they are also a good source of calcium, magnesium, iron, phosphorus, vitamin B1, zinc, molybdenum, selenium, and dietary fiber. In addition to these important nutrients, sesame seeds contain two unique substances: sesamin and sesamolin. Both of these substances belong to a group of special beneficial fibers called lignans, and have been shown to have a cholesterol-lowering effect in humans, and to prevent high blood pressure and increase vitamin E supplies in animals. Sesamin has also been found to protect the liver from oxidative damage. Sankranti is a very famous festival and festival calls for delicacies. This one call or Sesame seeds as a star ingredient these at my place my interest you. 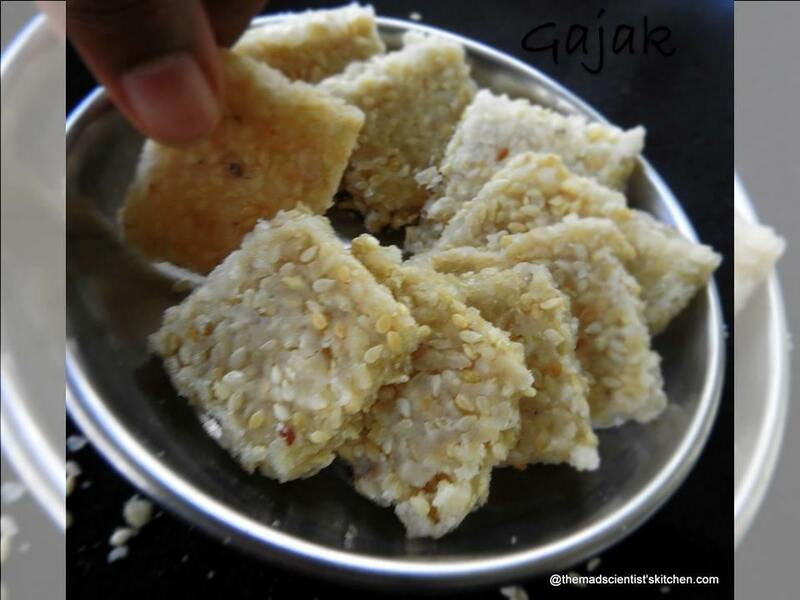 Gajak is a dry sweet made from sesame seeds, and groundnuts, and jaggery. 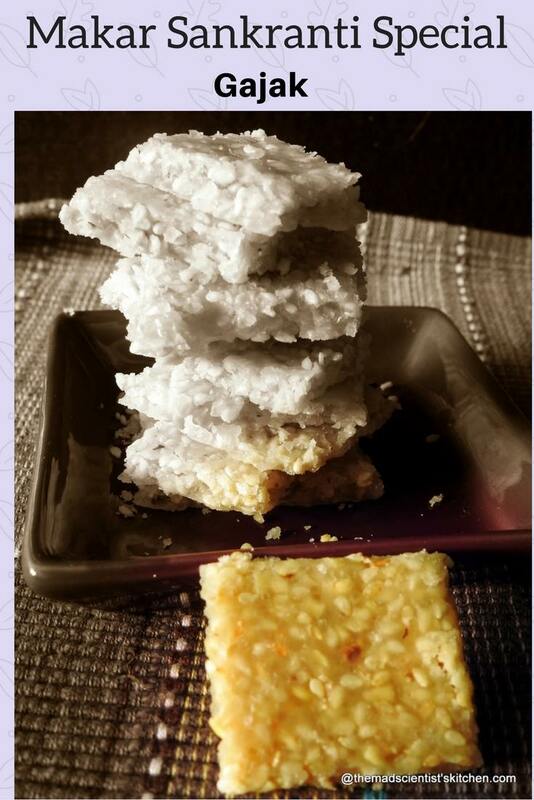 Sugar is also used to make gajak and the til/ sesame seeds are cooked in sugar syrup and set in thin layers. This can be stored for months. Gajak has to be crunchy should break with a snap but should not be tough. i will like to make my gajak in jaggery but was lazy to grate the jaggery so made it from sugar. It is not difficult, try this simple recipe that I copied from here. The number of servings will depend on the size of your brittle/chikki, I made medium sized ones. Grease a rectangular tray with ghee and aside. Add the sesame seeds in a large heavy bottomed kadhai/wok. Dry roast on low heat until they turn brown. Set aside on a tray. Dry roast the cashew nuts too. Add to the sesame seeds tray. In the same kadhai/wok mix the sugar, ghee with water, and cook on medium heat until it turns thick and syrupy. You will get 3-4 strings when you test a drop between your thumb and forefinger. Be careful it is a hot syrup. Take off the heat and fold in the roasted sesame seeds and cashew nuts. Mix well, then transfer to the ghee-coated tray, and level it with a large flat katori or a greased rolling pin. While still hot/warm, make cuts on it. Once it has cooled down, you can separate the pieces. Serve or store them in an airtight container once properly cooled. I found the gajak a bit too sweet. So next time will use 150 grams of sugar. 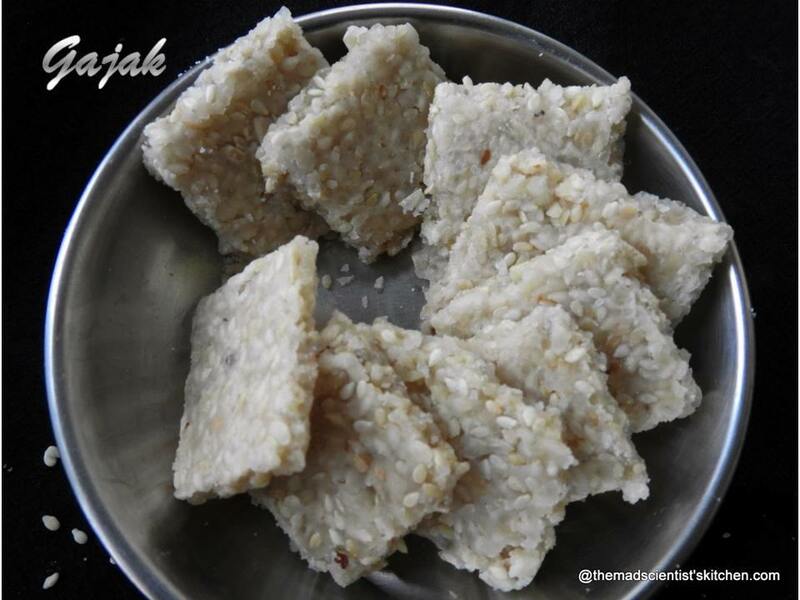 Makar Sankranti Special treat yourself with Gajak /Sesame Seed Brittle a common sweet to beat winter blues. I was also planning on making this and sadly had to skip, looks so inviting Arch, very nice one! We don’t add cashew and this looks so good. I love til gajak and your looks so delicious. Love the addition of cashews. Dangerously addictive sesame seeds brittle, if i make this brittles i cant keep myself away from them. Just love it. Addition of kaju is new in this brittle. I am sure kaju enhances the taste. I’ve never attempted to make these though I’ve had them before. Yours have come out very well. wow..looks awesome..the addition of cashews is giving it a pretty look..bookmarking this one. I love the gajak and was looking forward to making some. Still have not had a chance to make them. Looks wonderful Archana! Wish you were close by I could have shared it with you Sandhya. wow arch, that looks incredible, till and cashews, oh yumm! i have roasted till kept ready to make til and mawa laddo, now this gajak looks so inviting, i m confused!! !